Want a balloon? Immerse yourself in the horror that fills the town of Derry in this IT inspired rendition of Monopoly. This essential for Stephen King fans features custom Losers' Club currency and tokens sculpted after significant items from IT. As one of six iconic tokens, travel around locations found in the dangerous town of Derry to defeat your opponents. 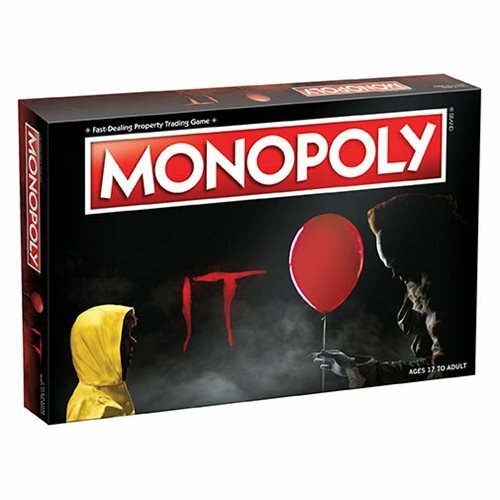 The IT Monopoly Game will make a great addition to your next game night. For 2 to 6 players. Ages 17 and up.